A. With the ignition on, the fuel gauge bars for the fuel remaining should light up. B. 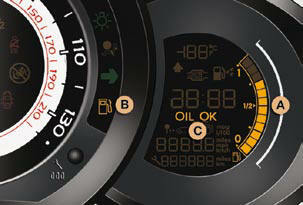 With the engine running, the associated low level warning lamp should switch off. If the levels are not correct, top up the level which is low.